Right on @sunvalley, the mites are so sporadic and im so close to the end of flower im just rollin with it and so far its going alright. Have you used this solution before? What is the logic behind that? I've used it before and still do when I need to. Leaving the mites on will effect your flavour way more than using an HP solution. A stressed garden's best companion. 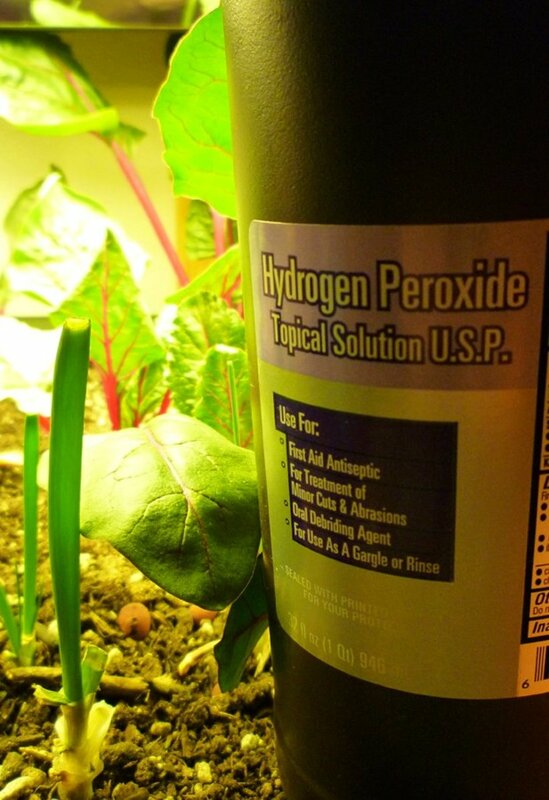 Learn the natural insecticidal, fungicidal and cleansing benefits to using hydrogen peroxide for plants. Right on, do you apply right before lights out or when they come on? I mainly grow in a greenhouse and generally do all my foliar applications in the morning's but its honestly whatever suits you better. Outdoors in summer I tend to foliar in the evening's because morning's generally has a due that settles on the plants so doesn't do much good for you spraying then. in flo and your good. Yeah dude i like it. Luckily they never got too out of hand. I will keep this in mind for the future if i ever run into this problem again. I've got them now too! They are almost done! I have some 3% HP. How many parts HP to how much water? Proven spider mite killer in one gallon of water add 1 cup hydrogen peroxide 1/4 cup Listerine (the old gold stuff with 30% ethanol) 1/2 tsp agricultural soap concentrate (spreader/sticker) or dish soap (not detergent) Spray liberally. Will kill mites and eggs on contact. you apparently sent them over here. i'm about to invest in hydrogen peroxide. all these other concoctions sound too funky for me. If you have mites on the plants at time of harvest you can hang the whole plant up-side-down in a safe place and the mites will all jump off in a few days. They will not stay on dead plant matter. Place a tarp or something under the plant that is sprayed with neem solution or comparable to kill the escapees. Been there, done that. It sux. My plants didn't like the Hydrogen peroxide. Got bud rot in a few spots. Bummed. Just wait it out if you can or unleash the ladybugs! Didn't make a dent in mine. Same here. It did make my house smell like it was on fire a couple times because the bugs landed on the bulb and fried up. did you put them out at night? They can't fly at night. Last time I dropped some they cleared every insect off my plants over night then flew off in the morning. did you put them out at night? That is what the said to do. I had them around for days but, still had mites. This link says to mix equal parts distilled water and 35% h.peroxide ??? The 3% common H2O2 is avaiable to me and I think the 30% at the grow shop. eager to spray ASAP this a.m. I'm pulling my autos a few days early. Spidey mites are gone, but now I'm picking cankerworms off the bud. They are gonna destroy it. i had the caterpillars....corn earworm. look here on OG or search for the colorado state hemp pest info to confirm your species. i love that site. Oh isn't that fun. Nothing like mites in Flower. I got turned on to Organicide 3 in 1. The stuff is all organic and works really well. It is basically horticultural oil. I had a bad infestation going and it knocked them down in numbers significantly. I have been treating my veg plants with a rotation of Forbid, and FloromiteSc, then with organicide. I believe I may be winning, finally, ..its been tough to get rid of these bastards.